FOOT MASSAGE WILL ALSO BEGIN! The World’s First 4D Vibrating Insoles for Circulate Your Foot. “Vibro Orthotics” is an innovative functional insoles that many experts have been developed in many years research. by return the real energy an activity generates as stimulation and circulation. With this shoe inserts, all of your existing shoes will turn into functional shoes! Remember! A healthy body starts with the feet! 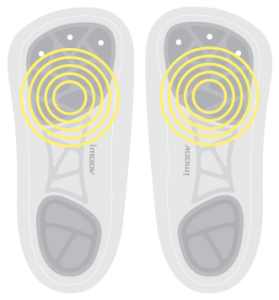 iMOOV Vibro Orthotics! It’s a new paradigm in lifestyle footwear!